In an Industry 4.0 world, manufacturers have the ability to make more informed decisions using real-time data collected from powerful embedded networked sensors in machines, assets, and applications. These sensors enable data capture at every stage of the design and manufacturing process and that data can be integrated with existing ERP, CRM, and other applications. This data, in turn, help to improve the company’s visibility, productivity, and product quality. This approach is already working in the consumer world today in the example of Amazon.com. Amazon uses tracking software that shows the real-time status of an order in the warehouse and when it’s packaged and shipped. Information is presented to the customer real-time, via an email or text. The automatic collection and dissemination of information reduces the resources required to manage customer orders and inquiries and improves the customer experience, all while delivering cost savings to the retailer. 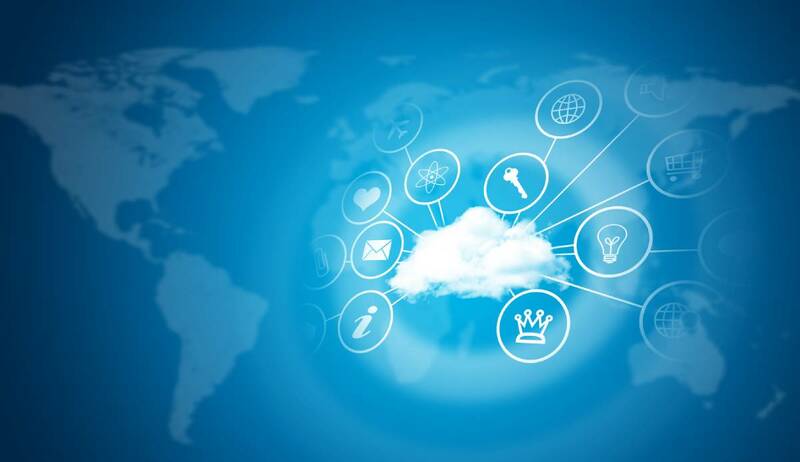 Cloud-based solutions will help drive the adoption of industry 4.0- As highlighted earlier, one of the first steps in the Industry 4.0 transformation, is building the connectivity infrastructure of all devices and equipment used in the enterprise. Part of that infrastructure requires an open source communication protocol where information can be centralized and distributed across the business. Field-level devices will become more intelligent with the ability to store more information. This free information exchange will allow for open collaboration and smarter analysis and decision making. The next phase of Industry 4.0 includes the integration of cloud computing, big data analytics, and artificial intelligence. Cloud platform technology is the driver for Industry 4.0 because it offers unprecedented compute, storage and networking capabilities. Look for cloud-based environments to deliver anytime access to data - The enterprise of the future will be smarter, enable more flexibility in production, and have the capacity to deal with greater demands and higher customer expectations. According to Forbes, the ‘future’ is already here. In fact, 35% of companies adopting Industry 4.0 predict revenue gains over 20% in the next five years. (Source: Forbes). Today's virtual servers with make access to exabytes worth of data possible and provide an enormous level of performance. Looking ahead, the virtualized environment of the future will deliver even more. Combined with next-generation data centers, networks based on Ethernet and IP technologies deliver data speeds of hundreds of Gigabits per second. Put pooling network and computing resources in the cloud and processing power is more concentrated and administration costs are kept lower. SaaS cloud-based ERP, inventory, Point of Sales, CRM and other apps leveraged in the cloud can be a complete game changer for companies. A cloud-based IaaS or SaaS model makes Industry 4.0 possible by adding visibility and centralized control, without requiring significant CAPEX investments once required in traditional implementations. Big data and analytics related projects - The free and secure exchange of data between machines and people in the enterprise will provide the foundation for advanced analytics and big data-related projects in the Industry 4.0 era. These projects will be based on real-time integration between connected devices, line of business apps and legacy systems. This level of integration will empower manufacturers to gain a 360 view of customers (i.e. contact preferences, buying habits, targeted offers, loyalty programs, etc.) which can then be analyzed through advanced analysis and prediction tools. Data can then be systematically processed for a deeper understanding of customers or partners and to explain uncertainties and better predict future behaviors. Analytics and better data analysis will lay the groundwork for greater understanding, optimization and more granular control over marketing and sales, manufacturing, operations, distribution, as well as the more efficient use of hardware and assets. It's clear that cloud computing and the communication infrastructure behind it will act as the engine behind Industry 4.0 and big data projects in the future. IOT and industry 4.0 really boils down to integrating information collected from embedded sensors and M2M learning, combined with cloud- delivered communications and analytics capabilities. Together these efforts will require massive data analysis and analytics capabilities to pull more meaningful insights from information to improve enterprise agility and more informed decision making.